He could have been talking about the internet. He might as well have said: "Don't read the comments section." But he was talking about a different communication technology: writing. 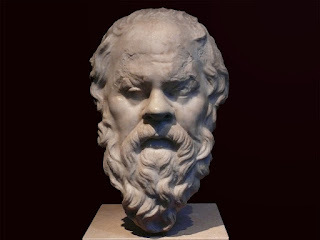 Socrates didn't like writing; he thought it undermined the thoughts of people and made them vapid. The irony is, we only know that Socrates said this because his student, Plato, wrote it down. The way we communicate affects how we think, which affects how we process ideas, which affects everything about us as human beings. 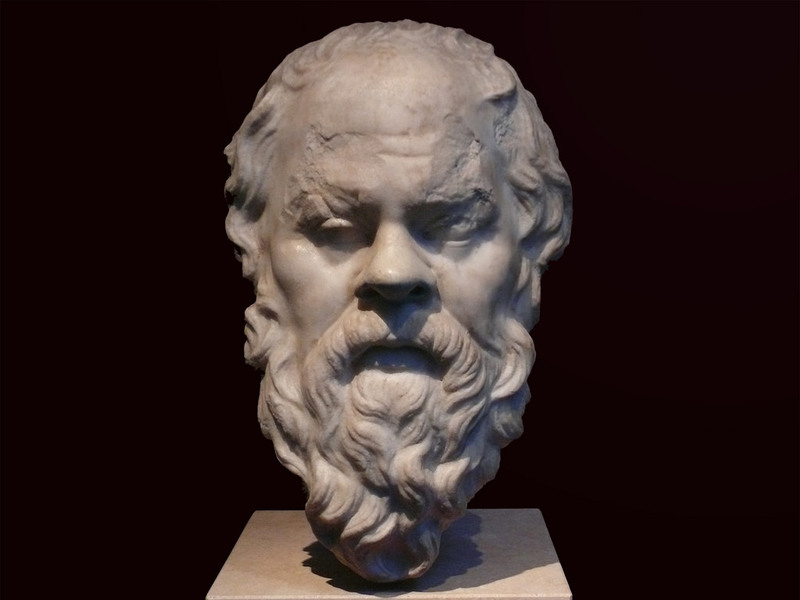 Socrates was right, moving from oral to written communication fundamentally changed humanity. Ideas were no longer bound by space and time, the great thinkers were able to build upon each other's work, and whole fields of study like philosophy, religion, history, mathematics, and science came into being. But there was a cost. Thought became a specialized field. Ideas became the property of the wealthy and powerful. The conversation of humanity was concentrated into the hands of a very few, well educated people. The rise of the printing press in Europe (it had been around in China for centuries before) paired movable type with an alphabet-based language and drastically decreased the cost of written communication. Within just a few years of Gutenberg's first printing Europe began to transform at a fundamental, cultural level. The Renaissance, the Enlightenment, and the Protestant Reformation were all spurred onward by the rapid spread of ideas, not among the wealthy and powerful, but among the common people. Culture changed, the people were no longer willing to be ruled from ivory towers and castle walls, the masses revolted based on the power of ideas. On the far shores of a distant continent a few ragged colonies took up those ideas and rebelled against the most powerful nation on the planet. There have only been a few changes in the way human being communicate. The first was from oral to written, then from script to printing, and now we're in the midst of third great change from printing to electronic communication. For ease I'll use the internet as a catch-all term to refer to all of our instantaneous, electronic communication (i.e. texting, emailing, blogging, messaging, etc.). With each shift in communication the speed of idea transmission and the percent of the population involved have increased. Oral society was slow and ideas could only be shared as far as a voice could be heard. Writing sped things up and allowed more people to receive the ideas (though for much of its history written communication was still, primarily, transmitted to people orally). Printing increased the speed and the participants even further. Now with the internet we have almost half of the population on the planet able to communicate with each other instantaneously. That has immense ramifications for how our brains work, how we process ideas, and what our culture looks like. And we're only just starting to see those effects really playing out in the world. There is always a cost to go with the benefit of changing the way we communicate. The internet is reshaping our brains, for good and for ill. We are losing something with the rapidity of the communication and the number of voices that are clamoring for a place in the conversation. But we are gaining something as well. Socrates was right that there's a cost, but he was wrong in not wanting to pay the cost of changing the technology we use to communicate. We should weigh the cost. We should know the cost. We should consciously and actively work to mitigate the cost. But we cannot avoid the cost of communication on the internet, nor should we. Next up: what you can do to help. You skipped the step of one way electronic communication, broadcast radio and TV. Similar to the printed word it presents ideas without the opportunity for instant response. I did. And for the reason you noted. While it was a drastic evolution of the printed word, one-way electronic communication didn't revolutionize communication the same way that the other shifts did.